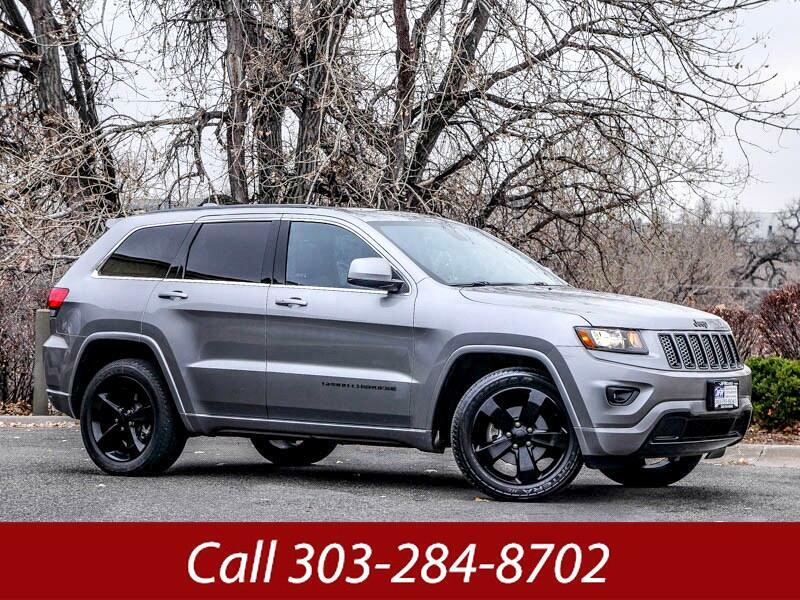 Used 2015 Jeep Grand Cherokee 4WD 4dr Laredo Altitude for Sale in Littleton CO 80120 JFR & Associates, Inc.
Who Ever Said Diamonds Are A Girls Best Friend — Didn’t Have A JEEP! If you want an SUV that can handle daily commutes and loves going on off-road trails — then this may be the perfect Jeep for you. The cabin provides you with styling, comfort, and quality for five passengers. You'll appreciate the excellent craftsmanship that offers a winning combination of eye appeal, brilliance and enjoyment. The V6 engine cranks out plenty of power to get you in and out of traffic quickly and safely. The 4-Wheel-Drive system can take you through the snow with ease or up the mountain trail without breaking into a sweat. Contact us today for a test drive and discover for yourself why people like their Jeeps so much.